From left, competitors Tyler Zager, Carter Hull, Paris Hale, Ty Machado, Josie Burkhardt, Sydney Groves, Jacob Scott, and LJ Ruth on Food Network’s Kids BBQ Challenge. 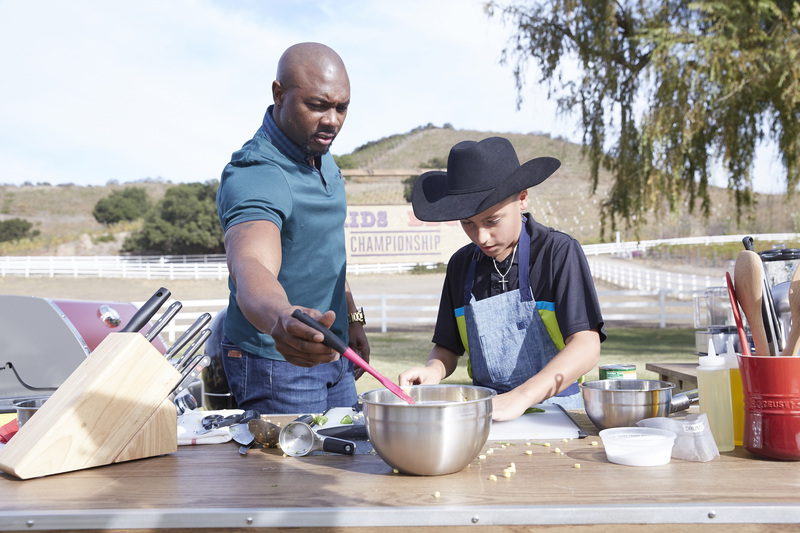 PR Newswire, NEW YORK – April 11, 2016 - Eight of the country’s finest young BBQers cook it out in the first-ever battle to find the best kid grill master in the new primetime series Kids BBQ Championship, premiering Monday, May 23rd at 8pm ET/PT. 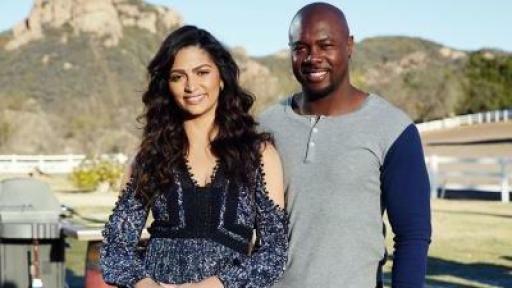 During the six-episode season, hosts Camila Alves and Eddie Jackson lead the young chefs through a series of red-hot challenges testing their BBQ skills and creativity on the grill – and only one competitor takes home the grand prize: $20,000 and a feature in Food Network Magazine. 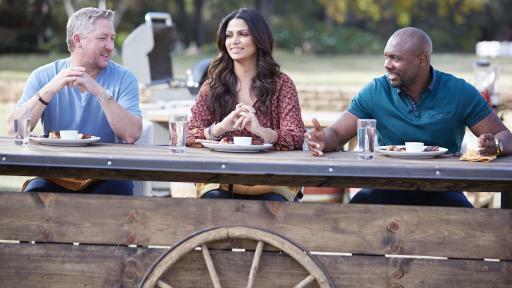 With themes ranging from a Hawaiian luau competition to a cowboy campfire challenge, each episode also features some of the biggest names in BBQ as guest judges. Kids BBQ Championship competitors are: Josie Burkhardt (Medford, New Jersey; age 11), Sydney Groves (Euharlee, Georgia; age 10), Paris Hale (Johns Creek, Georgia; age 11), Tyler Zager (Weston, Florida; age 11), Carter Hull (Austin, Texas; age 12), Ty Machado (Seguin, Texas; age 13), L.J. Ruth (Tampa, Florida; age 11) and Jacob Scott (Yazoo City, Mississippi; age 12). 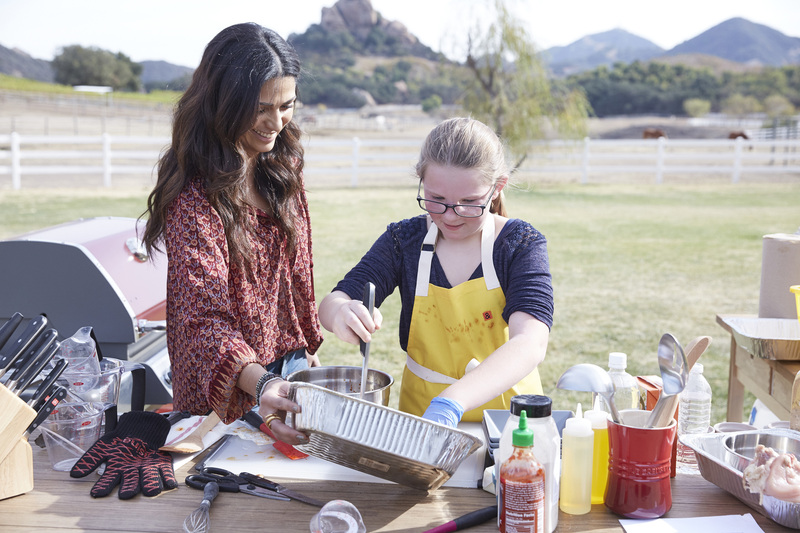 In the premiere episode, hosts Camila Alves and Eddie Jackson greet the eight fiercest kid BBQers in the country, and the competition kicks off with each young chef showcasing their trademark flavors in chicken and side dish challenges. Special guest Tim Love judges the final plates, and the competition ignites with no room for mistakes. Upcoming episode themes include backyard BBQ and state fair, and a guest judge roster with Danielle Bennett, Kardea Brown, Adrian Davila, Graham Elliot and Kent Rollins. 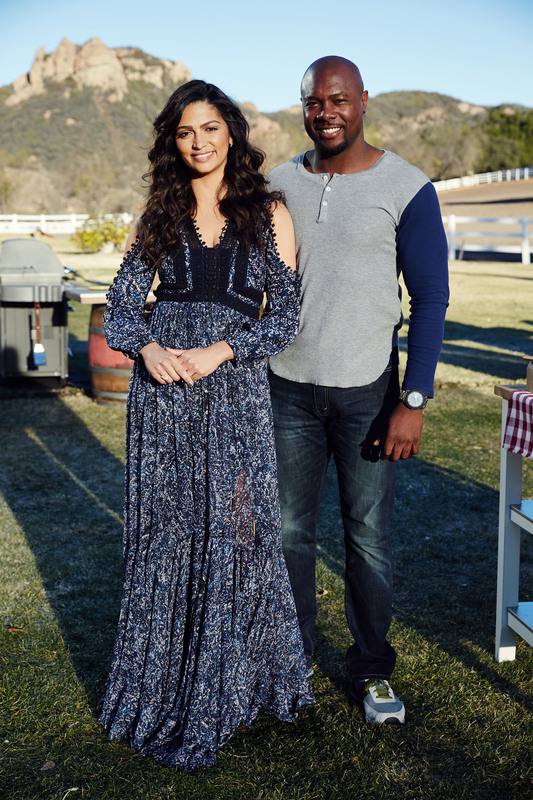 Camila Alves is a dedicated mother, fashion and lifestyle expert, and entrepreneur. Born and raised in Brazil to a family of farmers, she grew up with a strong connection to the taste and aroma of food. Camila moved to the U.S. in her teens to pursue a career in fashion, later establishing herself as a well-known lifestyle expert, sharing her personal insights on Today, Rachael Ray and The Chew. In 2016, she launched the lifestyle website Women of Today focusing on food, family, fashion, health, beauty and crafts. 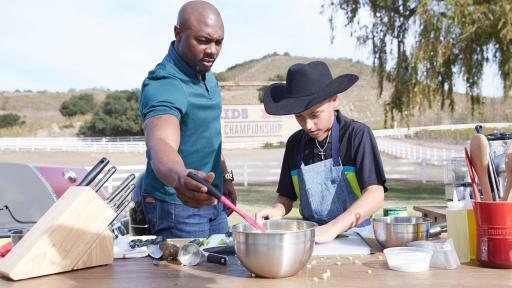 Food Network Star season eleven winner Eddie Jackson is a former NFL player turned private chef, food truck owner and personal trainer. In 2015, he proved to be the ultimate culinary champion during Star, known for his charismatic personality, charm under pressure and spectacular cooking skills. Eddie’s unique take on food combines his southern background with his passion for rich bold flavors. He has appeared on Food Network shows including BBQ Blitz, Chopped and Christmas at Bobby’s. 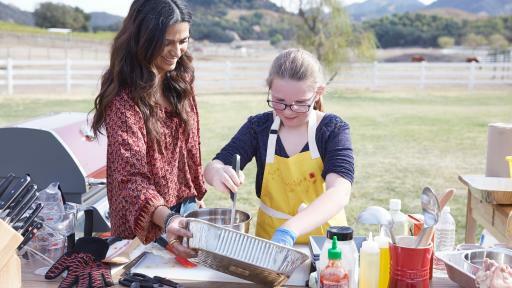 Viewers can relive the most creative and dramatic moments with episode highlights at FoodNetwork.com/KidsBBQ and hear from hosts Camila Alves and Eddie Jackson for their take on the competition. Fans can also weigh in on their favorite moments on Twitter using #KidsBBQ. 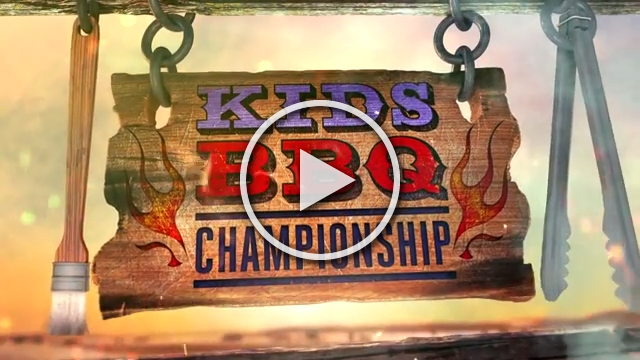 Kids BBQ Championship is produced by Lucky 8 TV. FOOD NETWORK (www.foodnetwork.com) is a unique lifestyle network, website and magazine that connects viewers to the power and joy of food. The network strives to be viewers' best friend in food and is committed to leading by teaching, inspiring, empowering and entertaining through its talent and expertise. Food Network is distributed to more than 100 million U.S. households and up to 35 million unique web users monthly. Since launching in 2009, Food Network Magazine's rate base has grown 13 times and is now the third largest monthly magazine on the newsstand, with over 12.4 million readers. Headquartered in New York, Food Network has a growing international presence with programming in more than 150 countries, including 24-hour networks in the United Kingdom, Asia, and the Europe, Middle East and Africa (EMEA) region. Scripps Networks Interactive (NASDAQ: SNI), which also owns and operates Cooking Channel (www.cookingchanneltv.com), HGTV (www.hgtv.com), DIY Network (www.diynetwork.com), Travel Channel (www.travelchannel.com) and Great American Country (www.gactv.com), is the manager and general partner.